Janice Pendarvis Leads Inter-Generational Choir for Feel the Music! | Feel the Music! 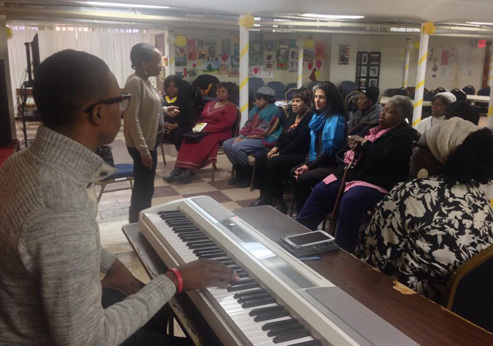 HomeJanice Pendarvis Leads Inter-Generational Choir for Feel the Music! We are delighted to announce our newest teaching artist, Oscar winner Janice Pendarvis, is leading an inter-generational choir for Feel the Music! at Bailey’s Cafe. Youth and seniors meet Fridays from 3pm-5pm for six weeks; culminating in a public performance May 16, 2014. Have a desire to sing?